Need to write a letter to Santa? 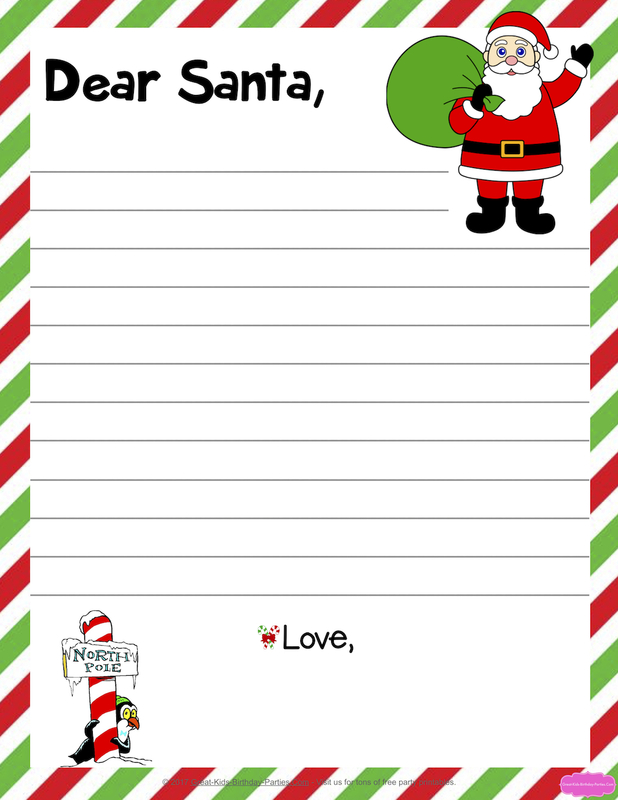 We designed this free Dear Santa letter for little hands with plenty of space and wide lines to let little ones express themselves. To download, simply right-click mouse and save to your computer. What child wouldn't be excited about receiving a letter from Santa? Well here it is! Mr. 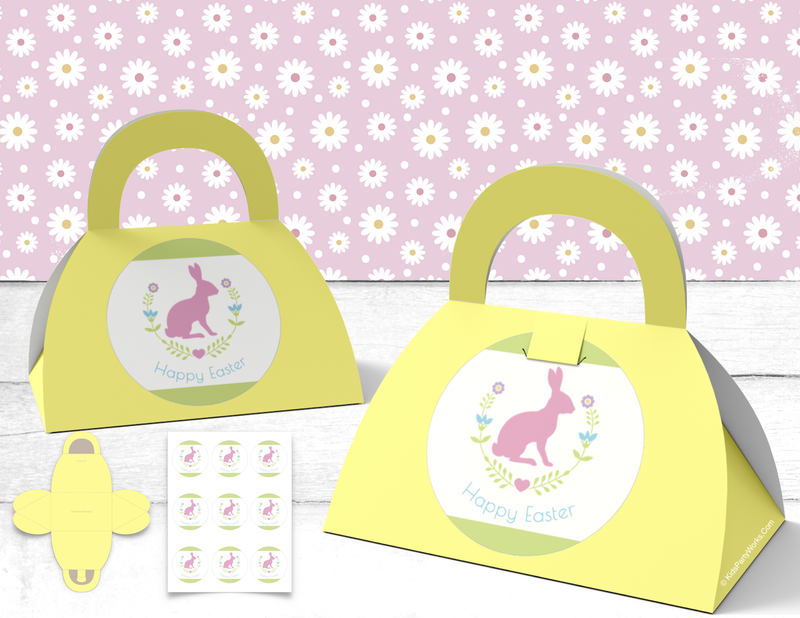 Printable has designed a beautiful letter template and envelope to match! 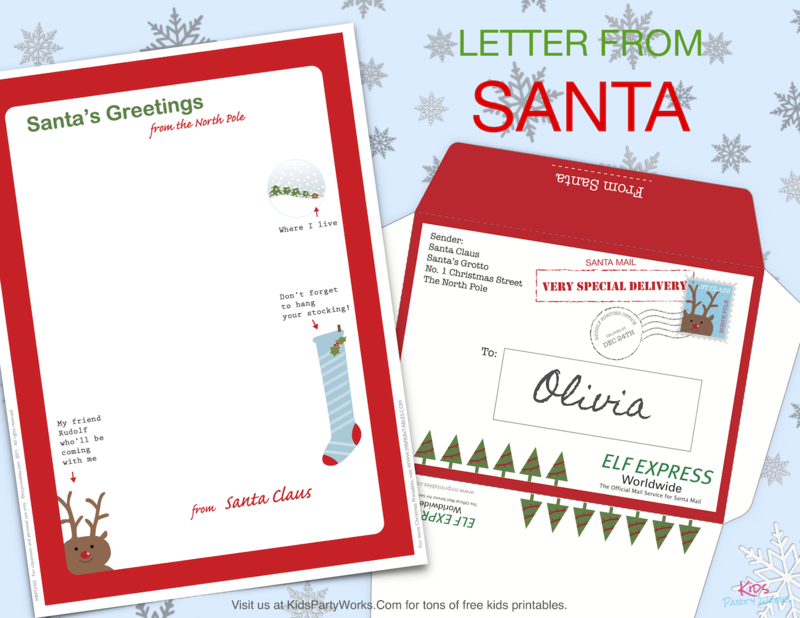 We are sure that Santa would love to send your child a very special delivery letter from the North Pole. Make sure Santa has the stationery available by clicking on the image below. Merry Christmas! Hot off the press! 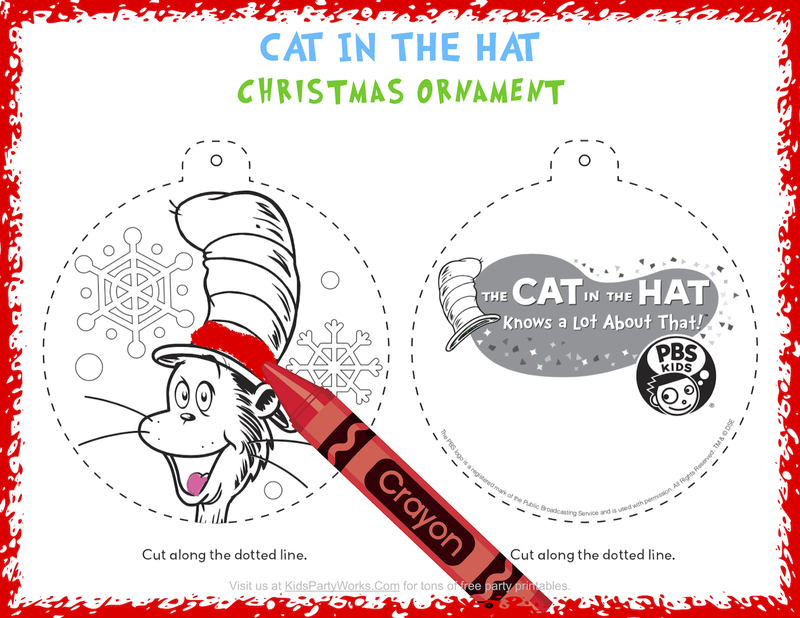 We just finished designing these super cool printable Christmas ornaments. Have a Superhero fan in your home? Decorate this Christmas with our Superhero Christmas Ornaments! 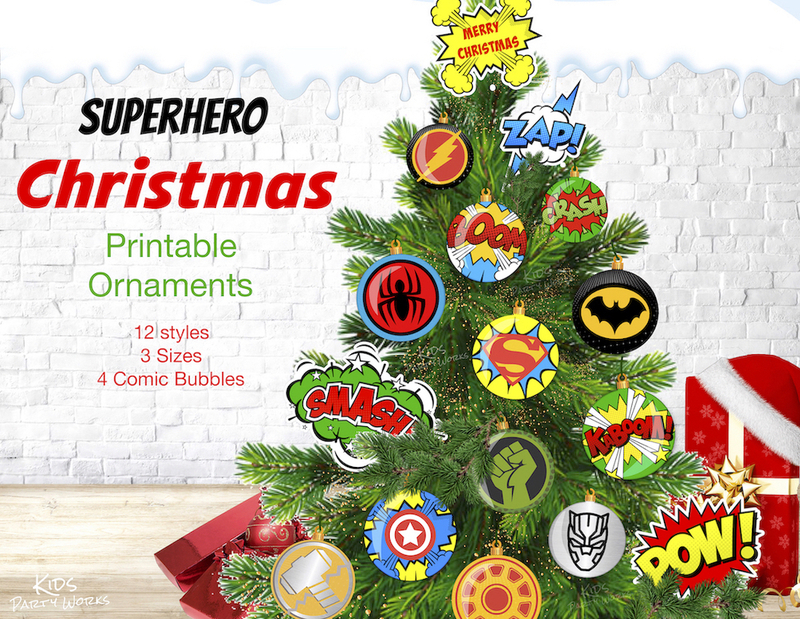 This printable set includes 12 different ornament styles in 3 sizes and 4 Superhero Comic Bubbles! 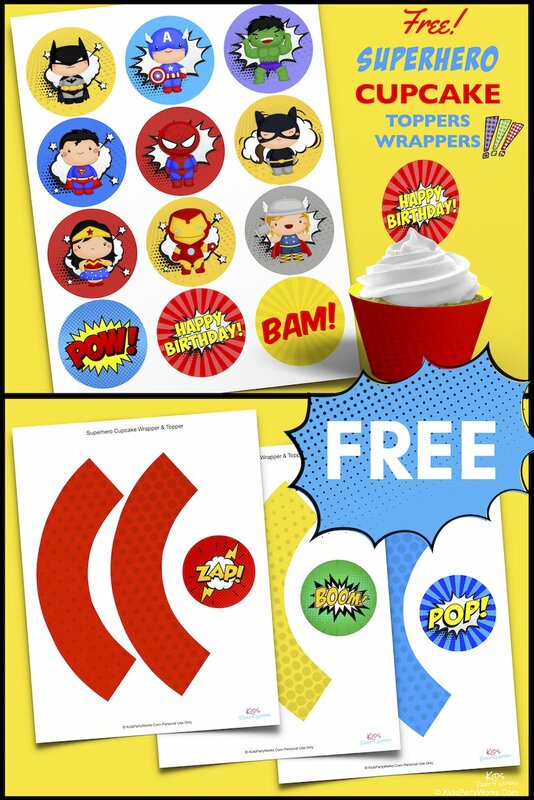 This set is perfect to decorate your Superhero's Christmas tree! They also make great window decorations, photo booth props and backdrops. You can also print them on sticker paper to make Christmas stickers. See details in our Etsy shop. 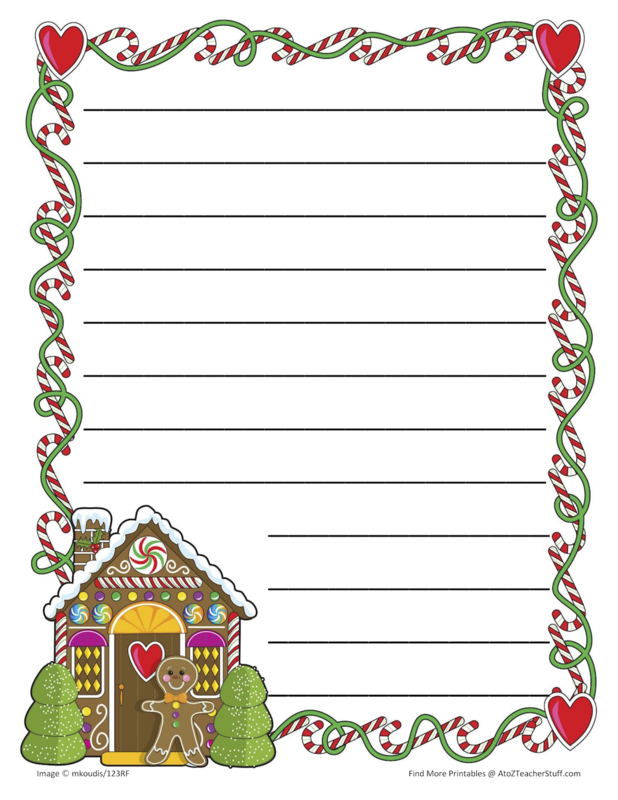 Love this adorable gingerbread border lined paper from atozteacherstuff.com. They also have variations on the lines and a blank one. 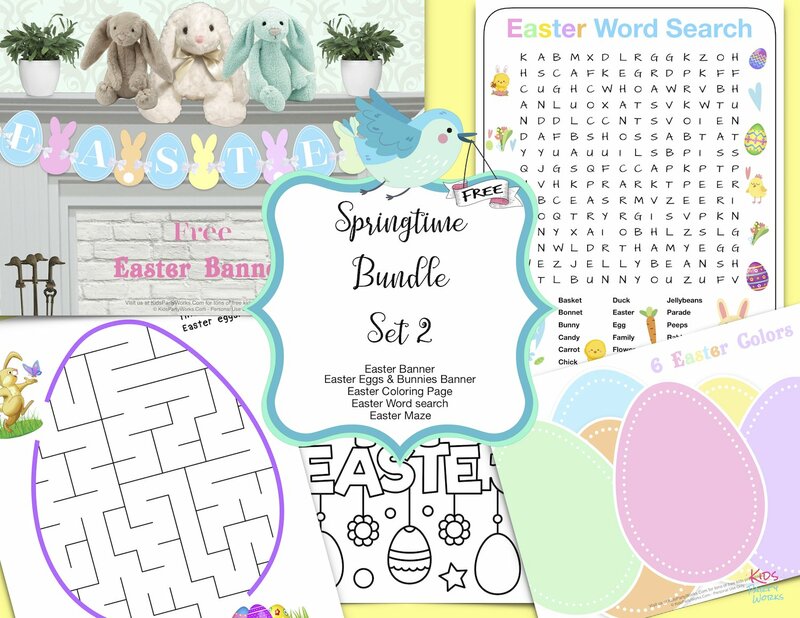 Click on image to see all styles and download. 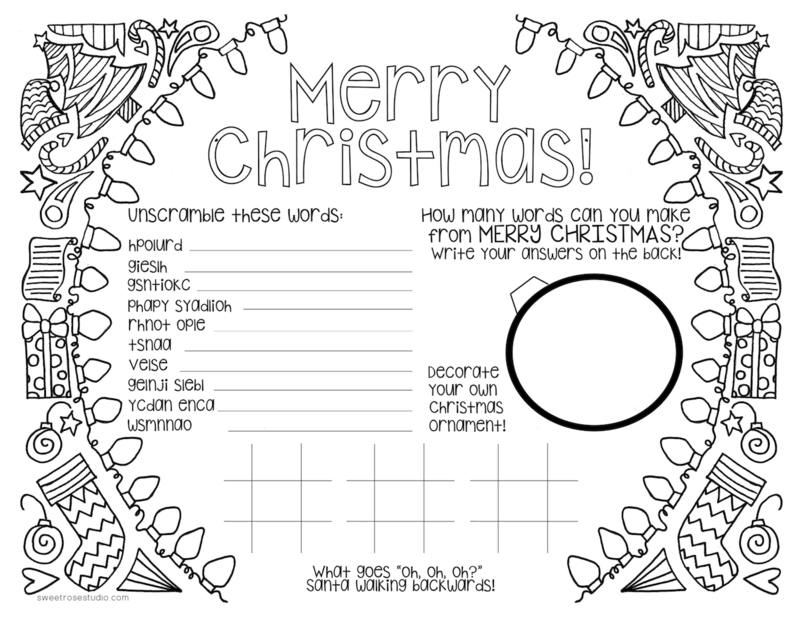 Our fun printable Christmas Word Search puzzle is tons of fun for kids and families! 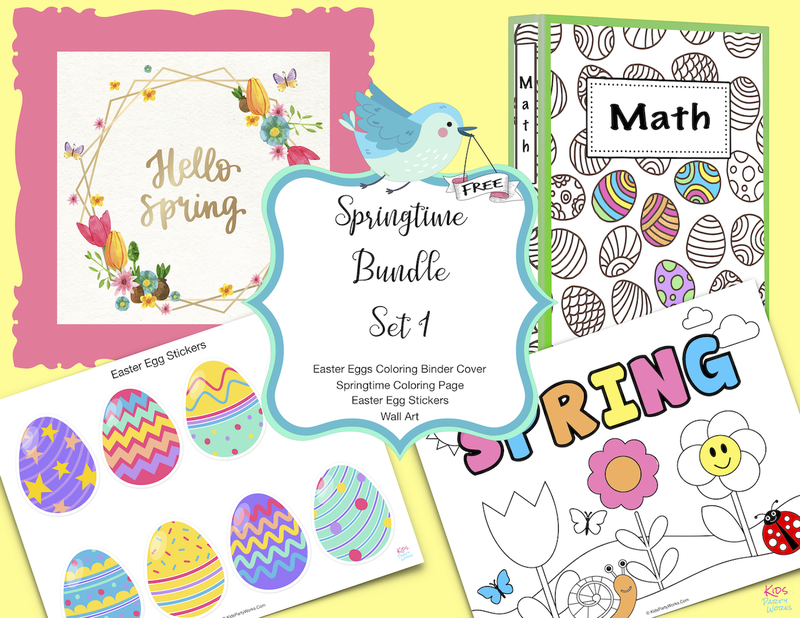 Great for kids of all ages & perfect for teachers to entertain their students in the classroom during the holiday season. 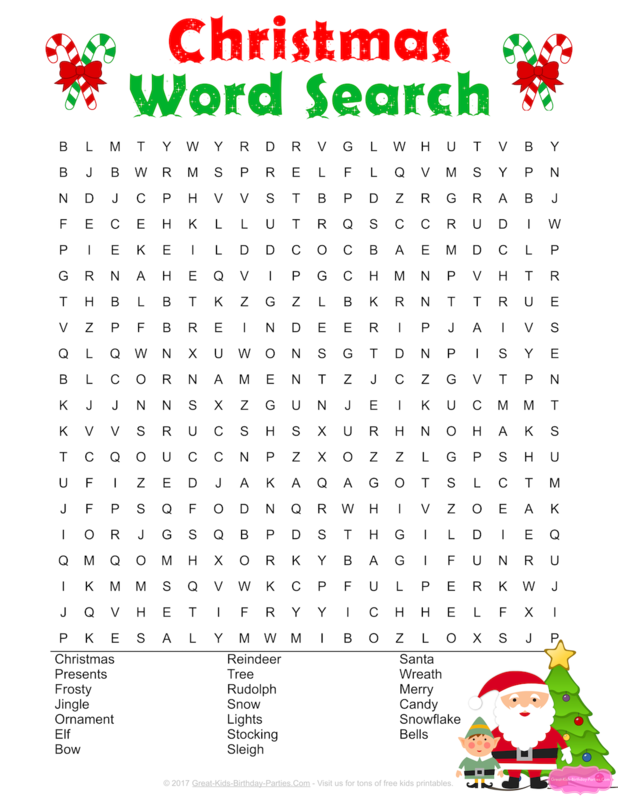 Download your Christmas Word Search and have fun! Merry Christmas! Make some Christmas memories with these colorful and fun Christmas photo booth props! Best part? They're free! Click here to download. We like to use these sticks and this printing paper for brightest printing. 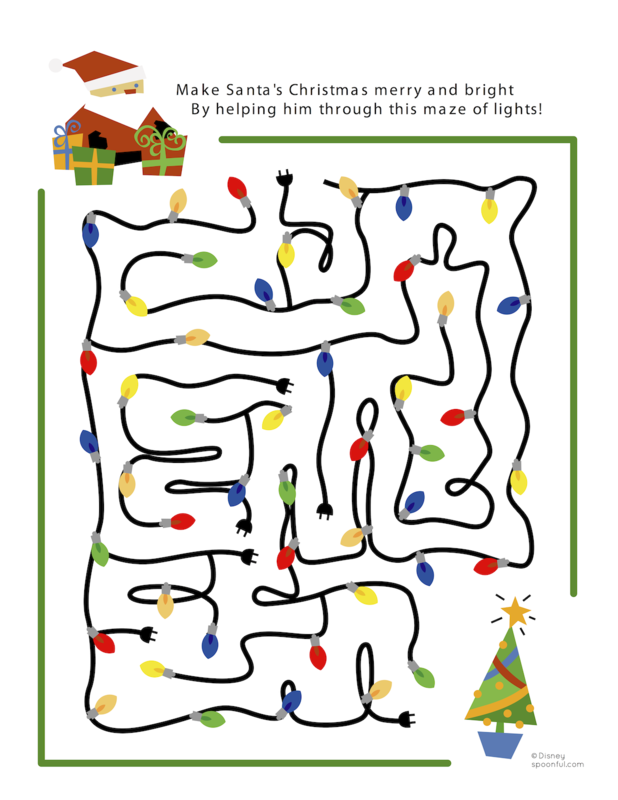 Here's a fun Christmas activity printable that will entertain little ones. Click here for download. Love fun Christmas crafts? Help Santa climb the ladder to get to the Chimney (Reindeer's are sleeping, lol). 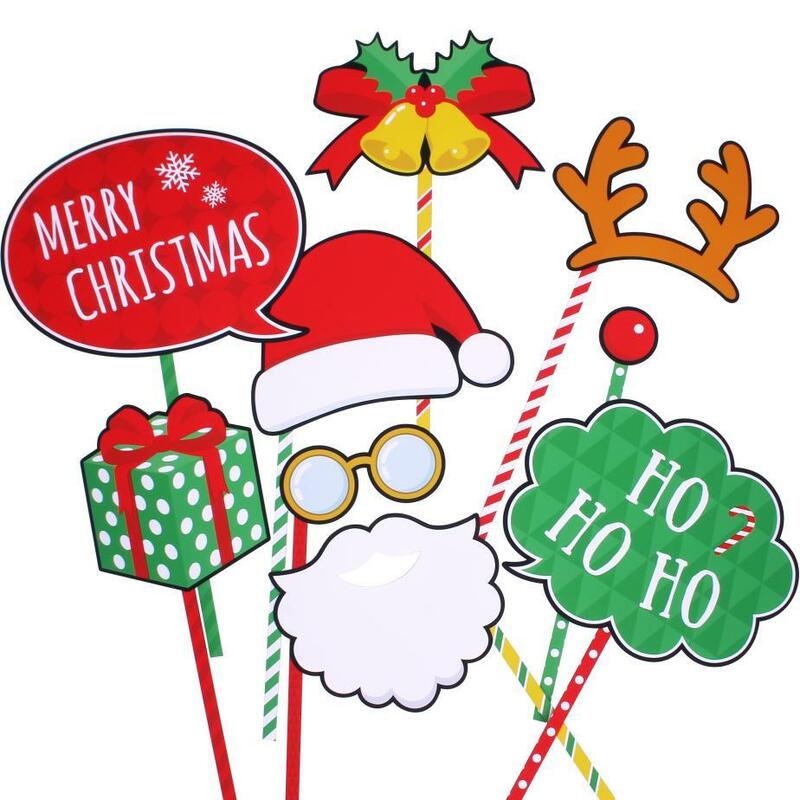 This super cute craft comes with 8 pages of latter clipart and 5 Santa images. 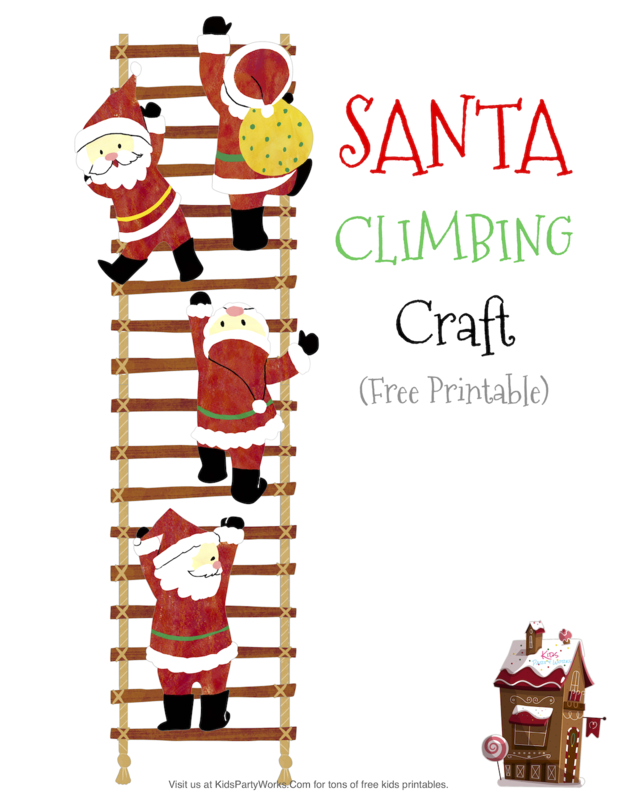 Print the ladder and Santa clipart in bright white heavy card stock for best results. Click on image for your free download. 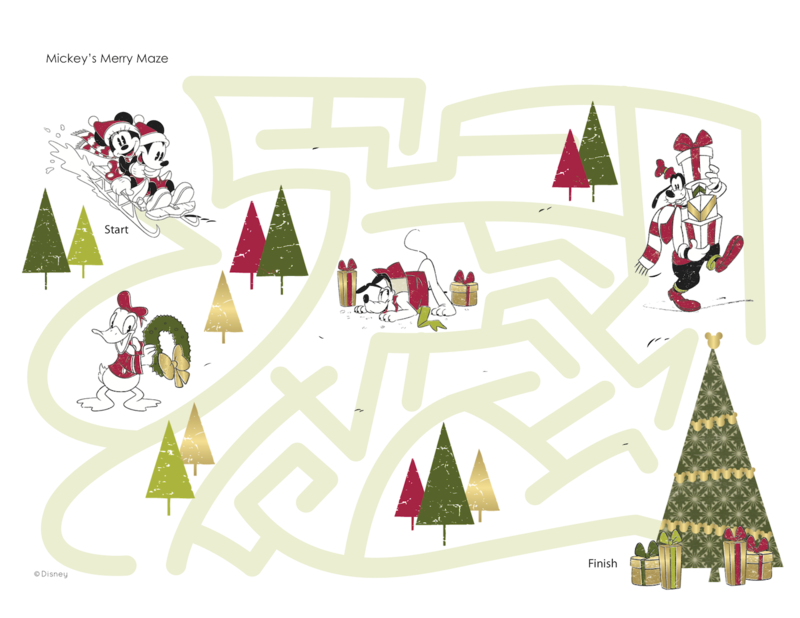 Help Mickey and Minnie sled across the forest to get to the Christmas tree. Follow the green lines to reach the Christmas tree. click on image for free printable. 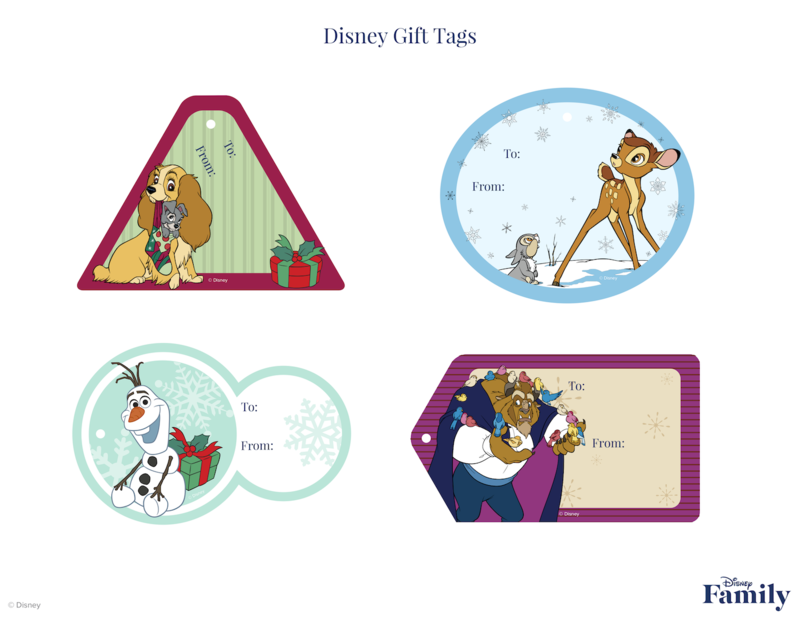 Perfect holiday gift tags for all Disney fans! Bambi & Thumper, Lady, Beast, and Olaf make beautiful tags for this holiday season. Click on image to download and print. Love these new Paw Patrol ornaments from Nickelodeon. 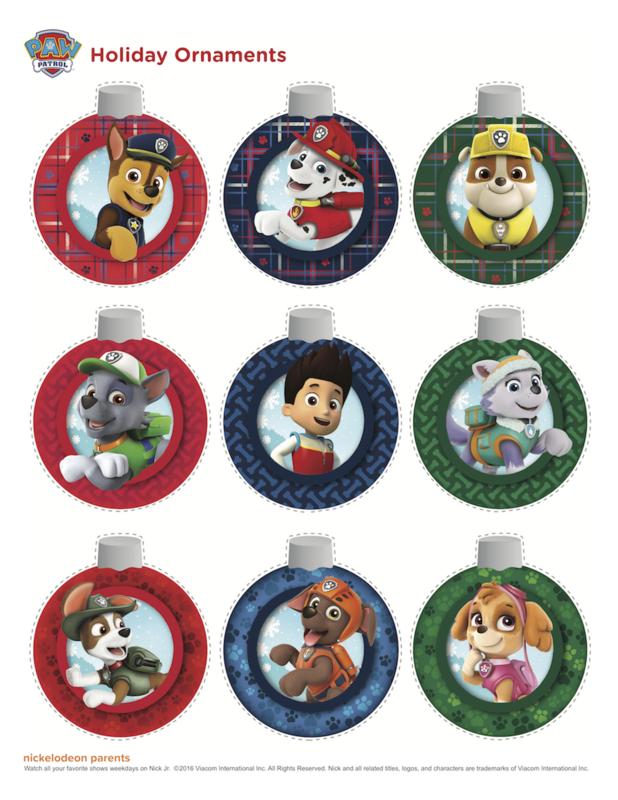 Your little will love decorating the Christmas tree with all 8 Paw Patrol pups including the newest member, Tracker. Click on image to download. 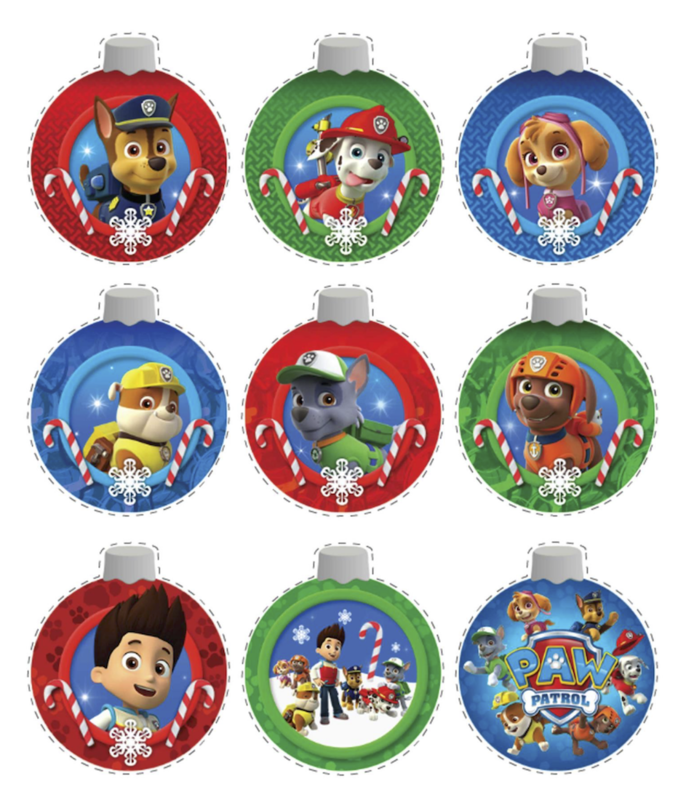 Add these original ornaments to the new ones above to double your Paw Patrol Christmas decorations. The ones below include the original 6 Paw Patrol pups and Ryder. Click on image to download. Calling all PAW Patrol fans! 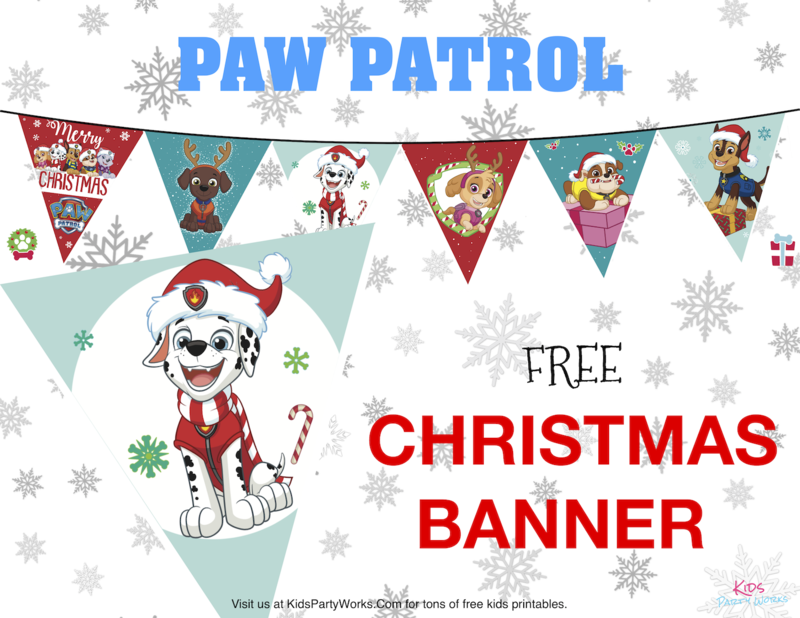 Grab this free Paw Patrol Christmas banner to celebrate the holiday season! Click here for your free download. Ooh! Who loves Spot the Difference games? I do! When I was little, Highlights magazine always had a spot-the-difference activity sheet and I loved to play! This is one of those classic games that I think will never go away. 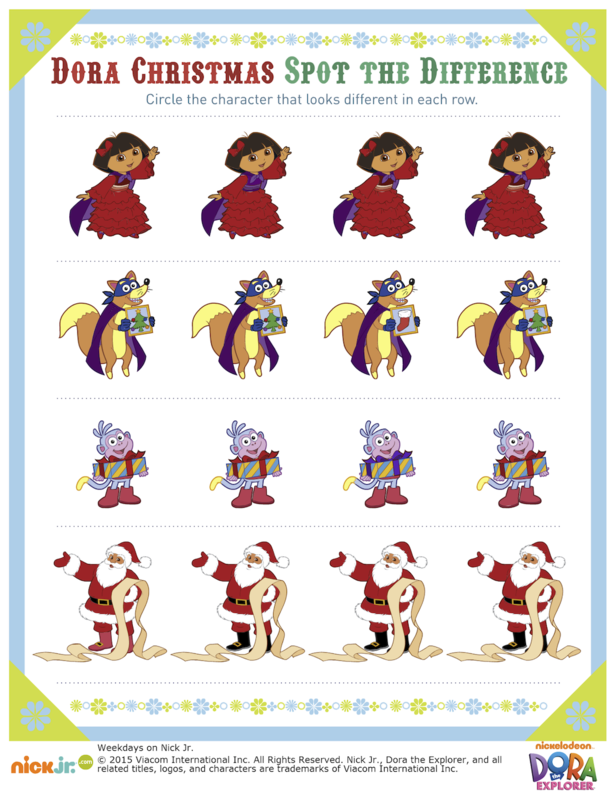 Here's a new Dora Christmas printable form Nick Jr that is lots fo fun for young and old. Get yours by clicking on the image below. 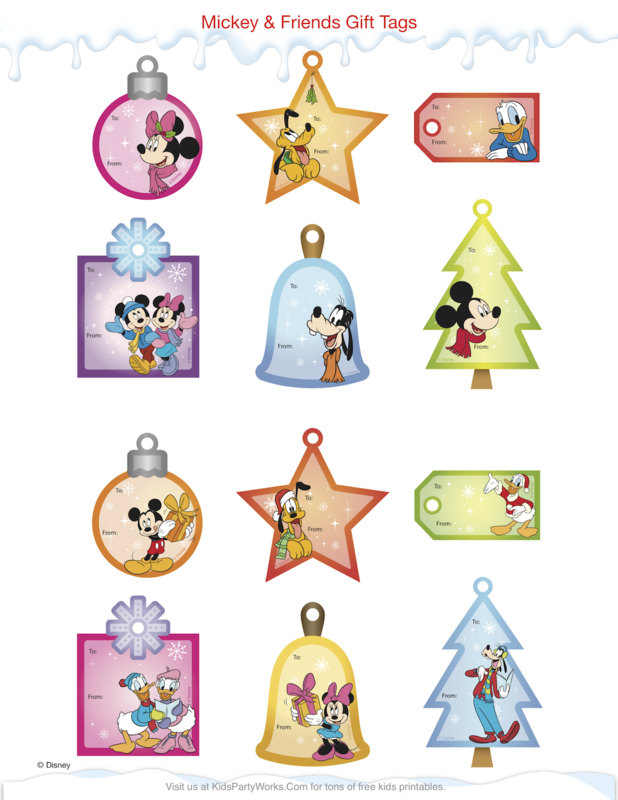 If you love vintage Mickey, you'll love these Mickey Christmas gift tags. 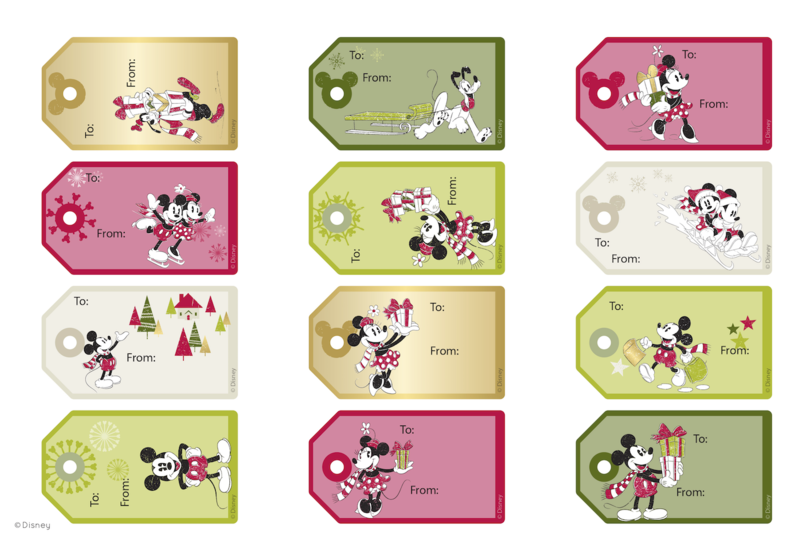 Add some Disney magic to your presents with these adorable gift tags featuring Mickey & friends. Click on image to download. Help Santa find the Christmas tree so he can put the presents under the tree! click on image to download. 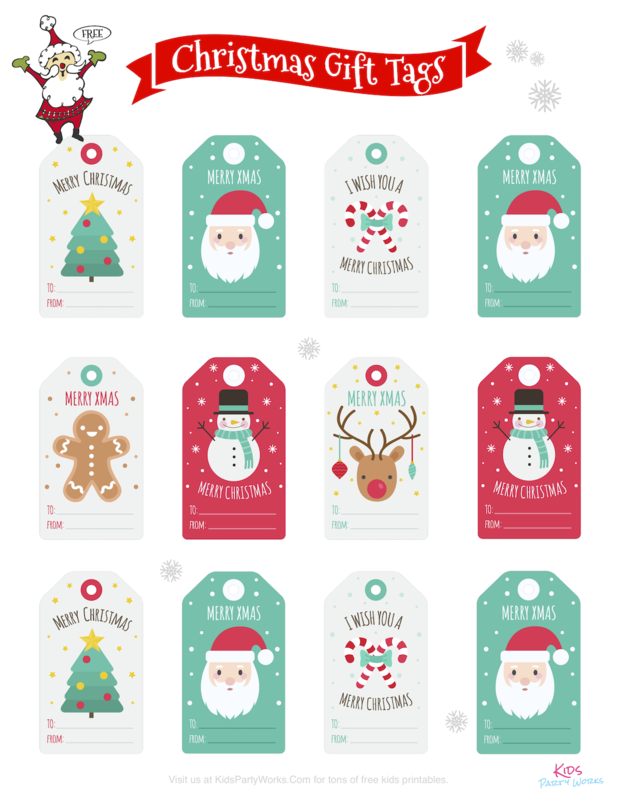 Help Santa label the Christmas gifts with our free printable Christmas gift tags. The adorable gift tags measure 2.5 inches tall and coordinate with lots of Christmas paper patterns and colors. Get your free Christmas tags and have a wonderful Christmas Season! No words! Because this is SO beautiful! If you love Disney Princesses and Christmas them watch as Disney shows us how to make Little Mermaid, Mulan, Rapunzel (Tangled), Jasmin, and Tiana Christmas trees using a styrofoam cone and beautiful embellishments. After watching this Disney video, you can get ideas to make other Disney Princesses as well. So much fun, I wish I could spend all day making these. Just watch and see how absolutely adorable! Who doesn't love Buddy the Elf? This movie turned into an instant classic! We watch it every Christmas and still laugh! 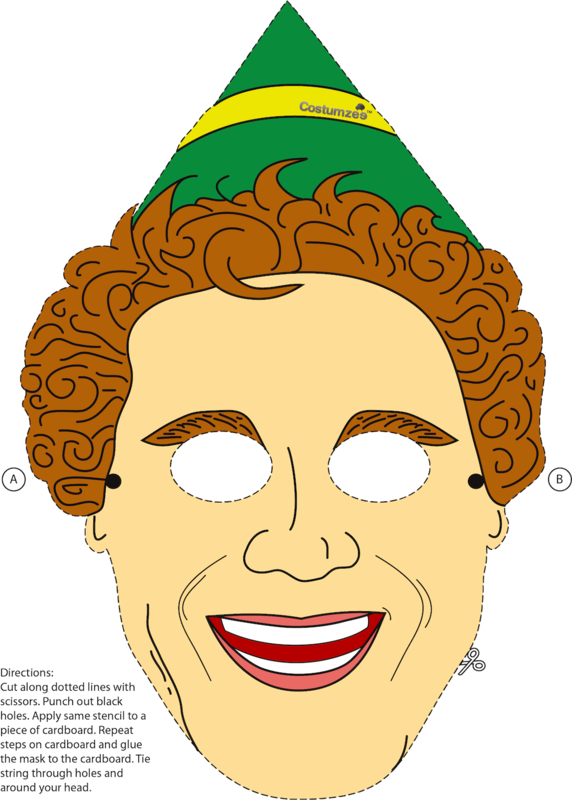 Here is a wonderful printable mask of Buddy the elf originally made by Costumzee. I'm not sure what happened to the company as I can't seem to find their page anymore, but I happen to still have the printable mask which they offered for free. You can download your Buddy the Elf Mask and pretend your Buddy while you watch the movie! Remember to check out our Christmas Coloring Pages Page! 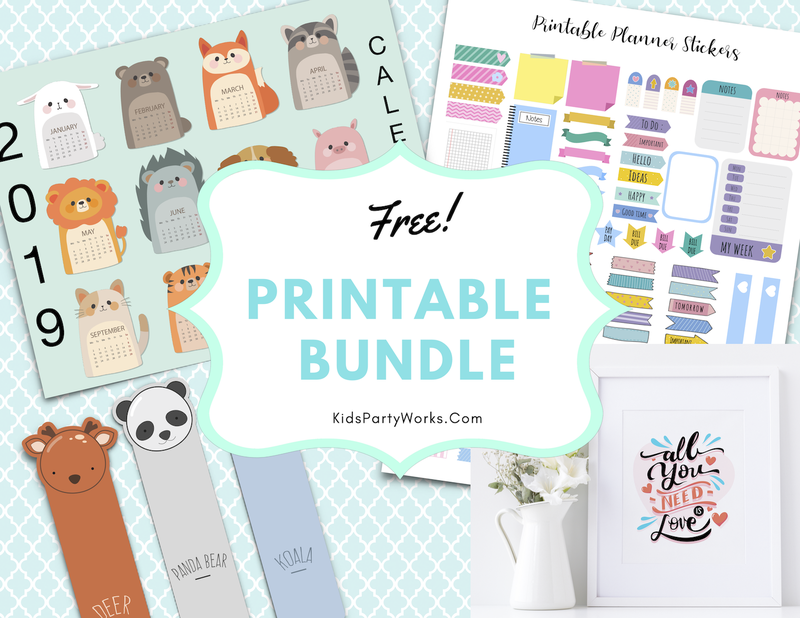 We have tons of super cute free printable coloring pages for kids of all ages.